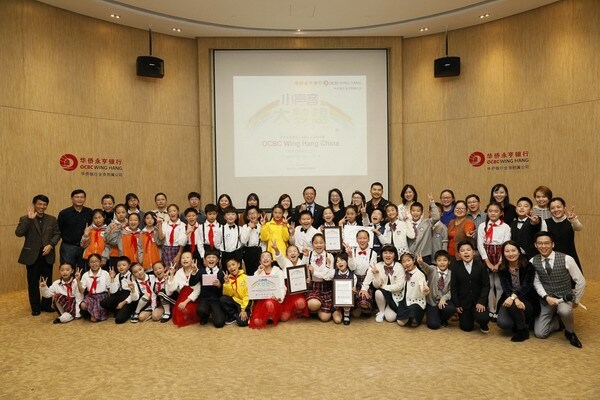 The seventh session of "Small Voice﹒Big Dream - Junior Debate", sponsored jointly by the Overseas Chinese Wing Hang Bank (China) Co., Ltd. and Shanghai Soong Ching Ling Foundation, held the final competition in Pudong on November 10. It is honor for the top three primary school team teachers and students - Huahong Primary School, Huaxing Primary School and Pudong New Area Experimental Primary School, to participate in the Shanghai Disneyland two-day and one-night fantasy tour next year. At the same time, Qiu Ying of Rainbow Primary school and Liu Xuhan of Huaxing Primary School both won the "Best Performance Award. Mr Loh Tuck Wai, consul general of Singapore Consulate - General in Shanghai, went to the scene to cheer on the little players. 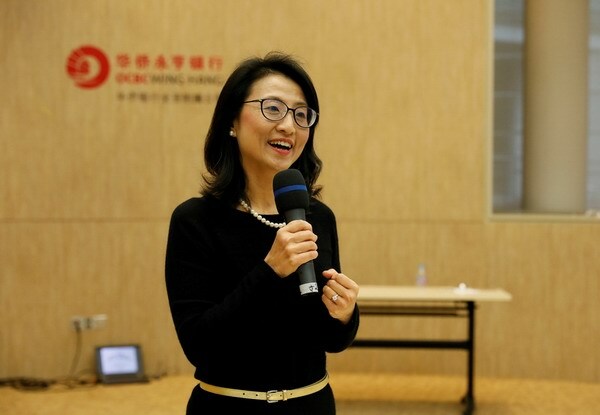 The annual junior debate contest is a platform built by the Overseas Chinese Wing Hang Bank (China) Co., Ltd. for the children of migrant workers in Shanghai to train their language skill. The organizers invited famous children's education experts and professional teachers to tailor debate and speech for children in training of communication skills, self-confidence improvement and body language use, helping the children to develop their cognition and thinking of social problems around in more active way. This year's debate competition is also the first time to increase the English speaking session in order to exercise the children's ability to speak English. 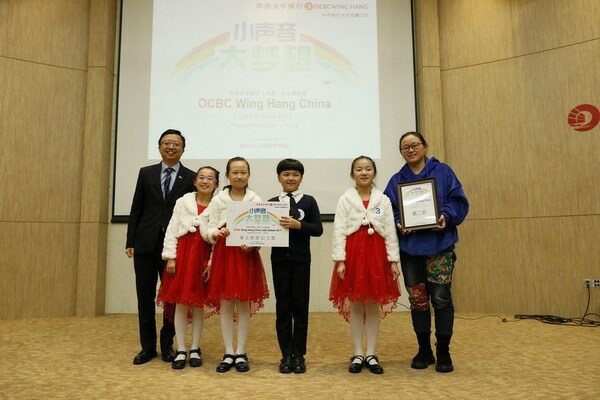 Mr. Loh Tuck Wai, consul general of Singapore Consulate - General in Shanghai with the “Junior Debate” second prize winners of Huaxing Primary School.